IT’S ON THE WAY AGAIN!! YES, it’s almost that time again; Blogging From A-Z! The annual April blogging challenge. Each day in April (except Sundays), I will submit a new blog entry……….oh lucky you. I participated last year for the first time and really enjoyed it (Thanks again Martha!). 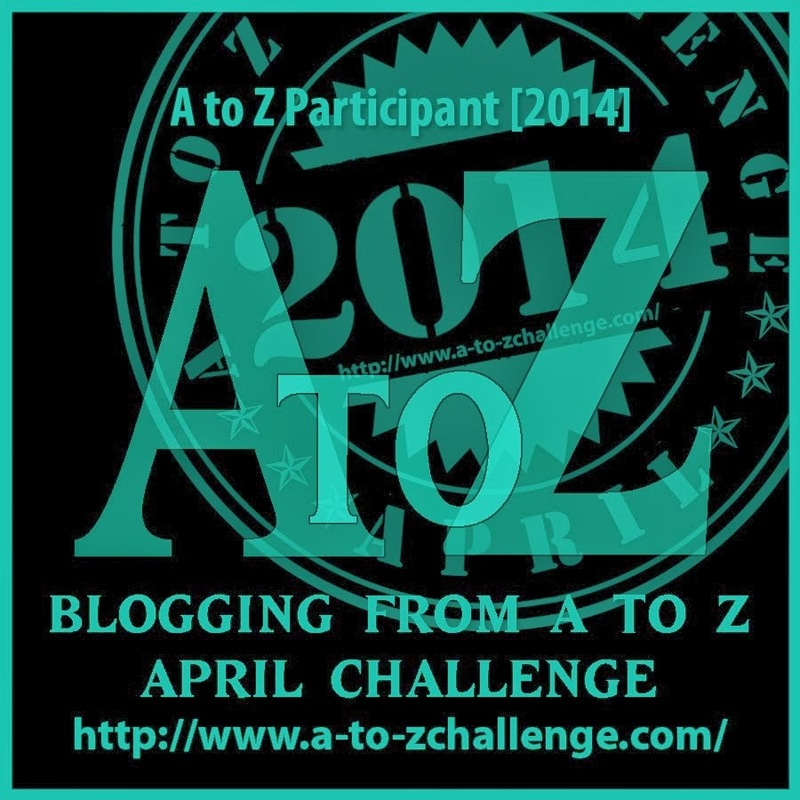 All of last year’s A-Z blogs are still available for viewing. As before, each blog post will follow the alphabet with NO particular theme, i.e travel, music, gardening ect. I would especially enjoy your comments, suggestions, spelling mistake corrections, and any request you may have (I hope none of them ask to take you off my mailing list!). I’d like to get in one or two more “regular” blogs before I start the challenge. In the spirit of things, I will answer 5 of your questions from my email with a small dose of poetic license thrown in! Dear Annoyed; First of all, there will always be another water bill to pay, but ZD45 observations are special, and should be cherished while they can! B.T.W, why are you still reading my nonsense, and for the record, what do you know about water bills in South County? “Below The Tower,” you’re still taking baths in the swamp behind the outhouse (not you Beth, we love your “reader-ship”). Dear Ukraine; I know things are not so great where you live, so I will do my best to brighten your day! You know they were based on the Cowsills from Rhode Island right?? I’m just saying…………. 3. “Dear Zulu, for the letter P”……STOP RIGHT THERE GUS!! !……..for the millionth time, there will be no blog about the Power of Perfume! Dear Crop; I would love to write more about aliens, but to be honest, I find the reception discouraging. Face it, we live on a planet where we view incalculable stars that may contain incalculable planets and intelligent life, and yet so many here on Earth refuse to believe in the possibility of extraterrestrial beings, while at the same time adamantly believe Sarah Palin is qualified to be President of the United States. I’ll see what I can do. You are freaking crazy….And hilarious! How about “c” for crimes against….. I cant wait to hear them! Maybe you should jump in the challenge!! Zulu Zulu Zulu funny, smart and sarcastic responses…..nice.